665 S Main Street Franklin, NH. 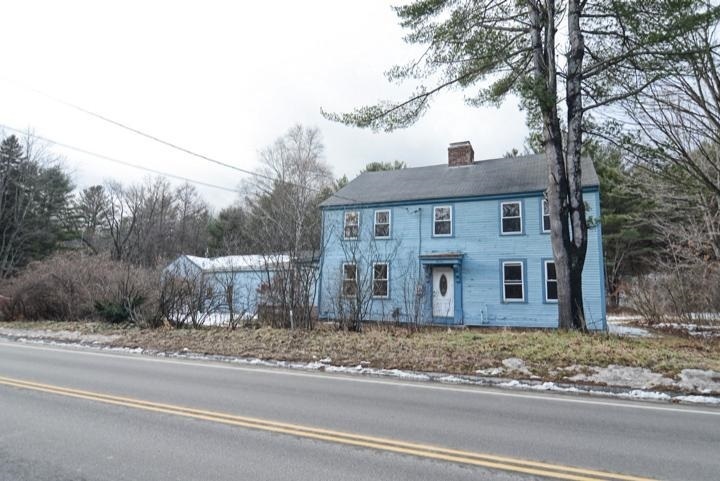 | MLS# 4735300 | Homes for sale in nh, BobbyVan Realty can help you find homes in NH & Mass, information about the New Hampshire & Massachusetts real estate market. PRICE REDUCED! Large 3 bed 2 bath colonial situated on 7.1 acres of land.State law requires Smoke/ Carbon Monoxide detectors be installed for properties having combustible fuel heaters/furnaces,fireplaces, hot water heaters, clothes dryers, cooking appliances, or an attached garage, but seller (HUD) is exempt from this requirement as a Federal Entity, Uses a septic system. Has a heating oil tank located inside the basement. Any required system repairs will be the buyer&apos;s expense, Repairs exceed $10,000. Repairs may include but not limited to structure, electrical,roof, HVAC, and plumbing; Inspection recommended, Repair exterior siding. Exterior and interior paint. Interior floor covering, HVAC and electrical system repairs, Roof leaks at chimney and at barn, Basement inspection is recommended to determine cause of water infiltration and the needed remediation Property is owned by the US Dept of HUD case #341-096756 UI property is FHA&apos;s 203k eligible. ALL HUD HOMES ARE SOLD AS IS AS SEEN NO REPAIRS PRIOR TO CLOSING NO EXCEPTIONS. Seller nor broker makes any warranties or representations. Seller can contribute up to 3% for closing cost for Owner Occupants only and MUST be required at time of bid submission. Property available for bidding 3-26-2019 - bid deadline to daily by 11:59pm (CT) until sold. Lead Paint Notices LBP EQUAL HOUSING OPPORTUNITY.